Imagine, if you will, Star Wars except it is Steampunk. Now throw in some Lord Of The Rings, stunning effects and below average dialogue and acting. Congratulations! You just made Mortal Engines. Mortal Engines was released on the 7th of December 2018 and is based on the first of a four book series by the British author Philip Reeve. As always, these are all my views and opinions on Mortal Engines and I am in no way opposing any views anyone may have about this movie. Through the duration of this movie I was a terrible audience member, and so was my friend who was with me. Throughout, we could not keep a straight face and could not help but gape at the beautiful visual effects and laugh at the poor acting and dialogue. Lets start with the positive. The visual effects which were handled by Peter Jackson, are absolutely mind-blowing. Everything looked immaculate and realistic and there was not one moment when the CGI broke my suspension of disbelief. Peter Jackson really knocked it out of the park with this one, however the rest of the movie really ruined his hard work. I have to come to the conclusion that one of the reasons the acting was so poor was because the movie spent too much on visual effects. There were no exceptional, even relatively, performances from the cast but the two best had to be Hera Hilmar’s Hester Shaw and Hugo Weaving’s Thaddeus Valentine, they put on relatively great performances considering Robert Sheehan’s completely useless Tom Natsworthy. He seemed to be trying to hard to be Eddie Redmayne, which makes me ask why they didn’t cast Eddie Redmayne in the first place, at least his nose wouldn’t take up half the screen. Stephen Lang’s motion capture and voice acting as Shrike was good, and probably the only character I actually thoroughly liked. The dialogue was poorly written and constructed, with my friend and I being able to predict the next cheesy line and then laugh about it. The screenplay was poorly done and that’s about all I can say, it wasn’t Venom level bad, though it almost got there. The soundtrack was decent, not bad but not exactly good either. It suited the vibes that the movie was giving off and I suppose that can be considered a plus point. The characters, apart from Shrike and less of Hester were largely left alone and not developed well or at all, and if they were it was so bland that it felt like it held no meaning. The premise, however, was good and I like the main story idea, I have not read the books but from what I have heard they pulled it off, which the movie was unable to do. The movie as a whole feels like a rehash of A New Hope and The Empire Strikes back, mashed into one movie with a steampunk filter. I will leave you with a line that had my friend and I dying from laughter even after we had left the cinema. Keep in mind, that no further explanation is given, and the topic of conversation cuts off then. 10/10 would not pay to watch again. With phenomenal visual effects and a decent cast. 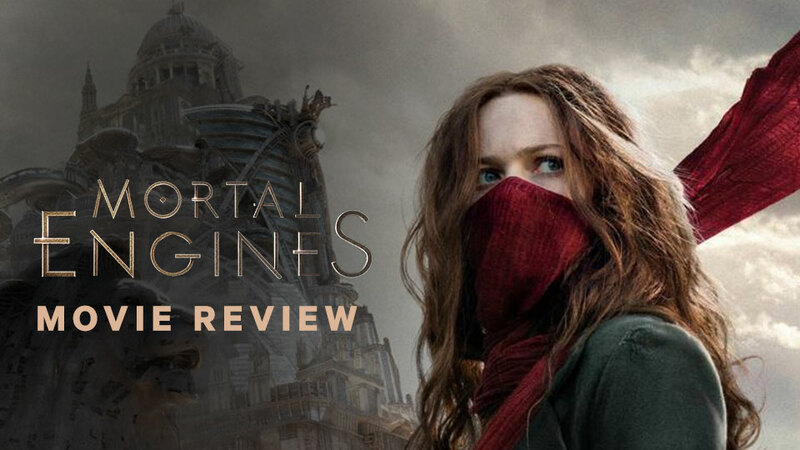 Mortal Engines fails to tell the story it set out to tell due to a lack of creativity, quality of dialogue, poor acting and major story holes.